When your cell phone rings, naturally you answer it. When you are behind the wheel, a whole new dynamic is created by that ringing phone‚ one that involves your safety and the safety of others around you. The National Transportation Safety Board (NTSB) reports that more than 80% of collisions involve some type of distracted driving. Although many states now require that drivers use hands-free devices, using a cell phone while driving is distracting. Period. proTextor is available for Android, Windows Mobile 6 and up. Phone must have GPS. 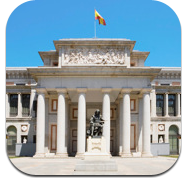 It is a great application that helps you to discover the exhibits at the Prado Museum. The application is offline and therefore it is not required connection with Internet or with wifi. The application includes fifty masterpieces, of the Prado Museum. The date of manufacture, technical characteristics and a thorough analysis of the art style as well as information about the biography of the painter are given for each painting. All information is in audio and written form. There are plans of the museum rooms where the paintings are. There is a possibility to go from a room to a certain painting. All the paintings are shown in a mosaic and with a touch of the chosen painting you have access to vocal or written information. Browse the Prado Museum with the help of the electronic guide and learn in depth about its marvelous collection. Live the magic of the Prado in your own place, and/or share it with friends before or after visiting the museum. The application of Acropolis and Museum Audio Guide is a unique virtual guide that offers you a conducted tour of the museum and round the sacred rock of Acropolis either by navigating on the map, or by touring on each exhibit. This conducted tour is based on archeological and historical references. The application contains 48 exhibits of the museum and the sacred rock, which are presented in detail by vocal guidance and text. The user can either follow the virtual conducted tour and get information for each exhibit separately, or select an exhibit from the list and listen to the relevant information. You can stop and continue the conducted tour whenever you wish; you can follow the suggested tour from the map or make your own tour. Moreover, you can repeat the vocal information of every exhibit as many times as you like. This option gives you the opportunity to go over the tour visit in order to review it or share it with friends. The official App of the Greek Orthodox Metropolis of New Jersey. 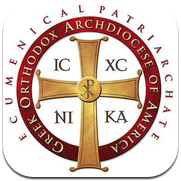 This interactive/informational App that lists relative news of all the parishes of the Metropolis, news and events from His Eminence Metropolitan Evangelos and the Metropolis Headquarters, Archdiocese and the Ecumenical Patriarchate is a service to all Orthodox Christians. This free App uses Apples innovative real time links to provide GPS directions through google maps to all Greek Orthodox Church's with in the Metropolis, and listings to all Greek Orthodox Church's around the world! 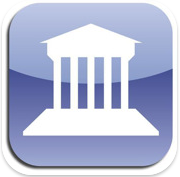 Metropolis App of the Greek Orthodox Church. -Stay connected to your Orthodox Faith where ever you may be. -Take time to reflect on the Archpastoral Messages and encyclicals written by Metroplitan Evangelos in this dynamic App of the Orthodox Church. -Stay connected with the real time updates to Events and News within the Metropolis.